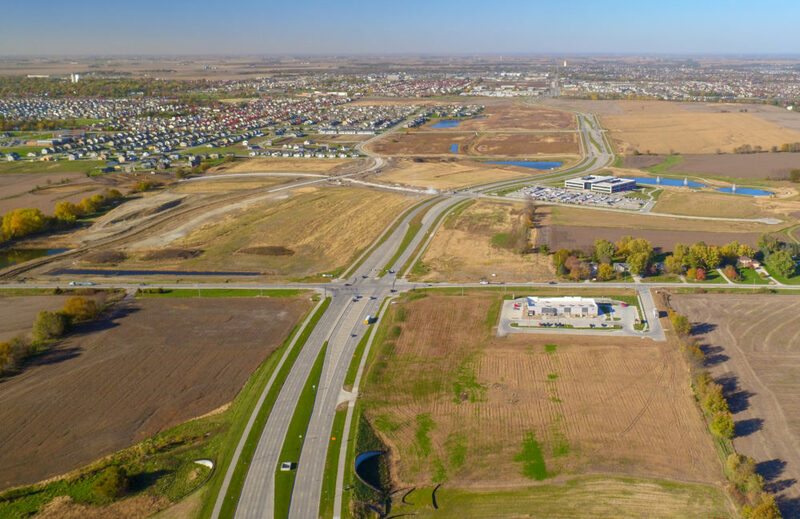 It’s no secret that economic development is booming in Waukee. In both 2016 and 2017, building permits issued by the City surpassed $200 million. And, commercial development in 2018 was the highest in Waukee history with more than $40 million in commercial projects recorded. All of that commercial development generates excitement—and many comments from citizens. City staff members often hear questions like, “Where’s the Target?” and “Why are there so many fast food restaurants?” Waukee Community & Economic Development Director Dan Dutcher aims to answer the most commonly asked questions. Dutcher has served in his position since 2013. The most important part of his job, he said, is making sure decision-makers know what sites and buildings are available in Waukee. So, does the Community & Economic Development Department simply order up whichever businesses Waukee needs? Not exactly. With that said, citizens may still wonder why certain businesses come to town and how the timing works out. Dutcher said there are typical economic development patterns often seen in communities experiencing fast growth, like Waukee. While Waukee residents clearly have more dining options and professional services available to them than in the past, Dutcher said retail is a more difficult addition right now, noting one popular store in particular. While a Target store is unlikely, construction will soon begin at the Apple Data Center site, and the Palms Theatres & IMAX will soon be open. Dutcher said Apple’s investment in the community is a huge win and that the addition of the movie multiplex will bring an exciting new source of entertainment to Waukee for residents and visitors alike. Another project for which Dutcher’s expertise is integral is the multi-use Kettlestone Development, which runs along Grand Prairie Parkway. Dutcher said he is pleased with the progress being made along that corridor. Dutcher said he knows it can be challenging for people to keep up with all of the development going on in Waukee. He encourages people to visit Waukee.org/developmentprojects for a full list of projects currently in the planning and construction phases. A list of available properties ripe for development in Waukee can be found at Waukee.org/availableproperties.